INTERNAL MEDICINE DEPARTMENT was founded in September 2003. Currently, the clinical settings of the department are National hospital, City Hospital No. 1 and Hospital № 6, the Research Institute of Physiotherapy and Rehabilitation, National Center for Hematology, Railway Hospital. The Department incorporates following orders: Therapy (cardiology, pulmonology, nephrology, rheumatology), Endocrinology, Hematology, Clinical Pharmacology, Work out activities, Dermatology, Occupational malady, General Physiotherapy, Pharmaceutical control, Elective course (therapeutic massage, traditional medicine). SURGERY DEPARTMENT was founded in 2008. 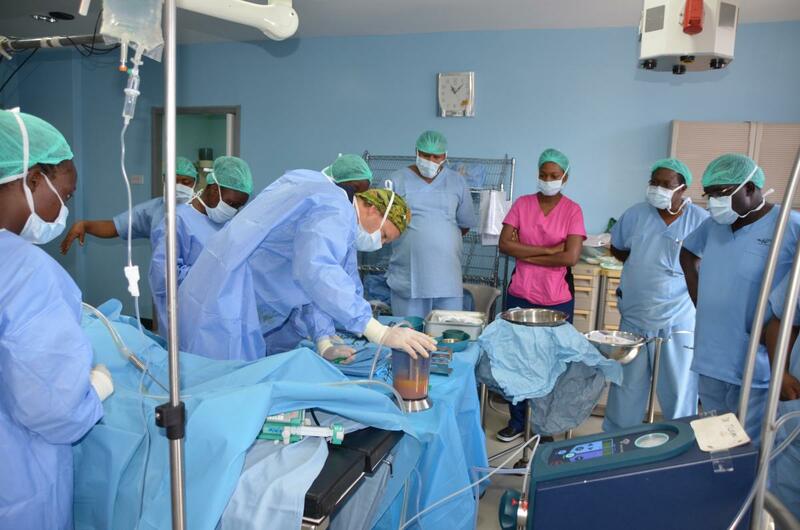 The teaching activities embrace clinical and theory categories within the following disciplines: General Surgery (4th year), Surgical diseases (4 year), patient Surgery (5th year). 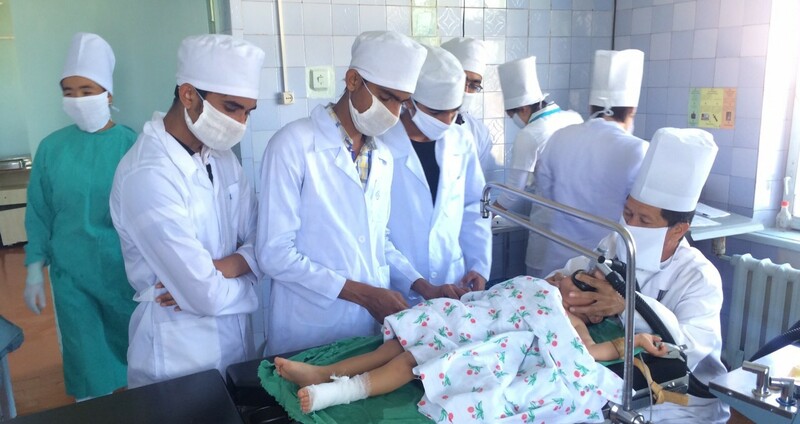 The department operates a scientific society for fourth and fifth year students as students have nonheritable access to the surgical department clinics to figure with patients and participate in surgeries. Obstetrics and Gynecology form one of the main sections of general medicine. The aim of studying Obstetrics and Gynecology is to ensure the following. Study the primary methods of examinations of the pregnant women, women in labor and gynecological patients. Use practical knowledge for conducting the clinical analysis of symptoms of pathological conditions during pregnancy, delivery process and gynecological diseases; Gain experience in a statement of the diagnosis and treatment. INTERNATIONAL UNIVERSITY OF KYRGYZSTAN (IUK) was formed in 1993 by a unique Decree of the President of the Kyrgyz Republic № 74 that gave the university the status of the international higher education institution. The International School of Medicine as a structural division of IUK was built in 2003. 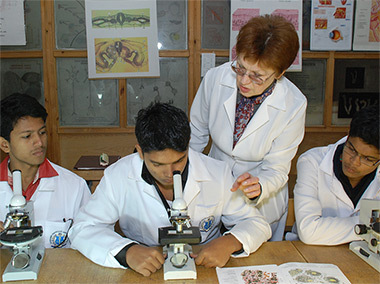 The primary foundation for establishment of the school was a strategy of reforming Kyrgyz education system and increasing competitiveness of domestic universities, which resulted in the primary emphasis of ISM administration and faculty being sharpened on the creation of a modern growing educational institution that can provide high quality training and has competing potentials in the medical education market. 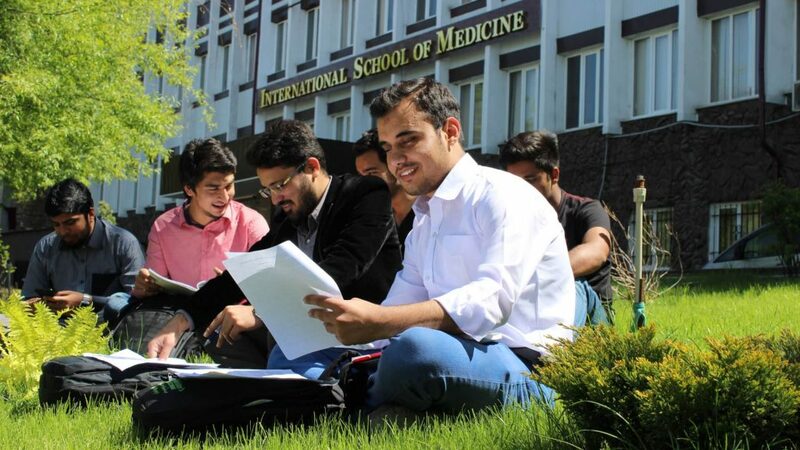 Currently, the International School of Medicine is a modern university with extensive infrastructure, and experienced faculty affiliates that are nationwide and some of them worldwide recognized specialists in different areas of medicine, acknowledged health organizations and agencies. Fifteen years ago the first 13 students were entered, whereas at present about 7000 students study at the University. Most of our students are residents of foreign countries: India, Pakistan, South Korea, the USA, Great Britain, Russia, Ukraine, Afghanistan, Japan, Nepal, Bangladesh, Turkey, and Syria. That is why the language of guidance is English. Although the key to the academic success of any staff members and students is hard work, the main pillars of school accomplishments are three basic principles Equity, Quality, and Transparency that was reflected in our school Mission and Vision and developed to theISM integrity code. The ISM is registered and cooperates (our partners) with many leading international institutions: The World Health Organization (WHO), An International Association for Medical Education (AMEE), the Foundation for the Development of Medical Education and Science (FAIMER), Institute for International Medical Education (IIME), the PhD Program in Biomedicine and Health in the EU (ORPHEUS), and participates in several international programs. Currently, 14 research projects approved by the Academic Council are being performed in the ISM. The plans of “Central Asian Network for Education, Research and Innovation in Environmental and Occupational Health” and “Strengthening the Network of Education, Research and Innovation in Environmental Health in Asia” were selected by the Erasmus Plus Project. Our alumni have been successfully passing medical certification exams in their native countries along with countries such as the USA, Great Britain, etc. Our graduates do their continuous health studies as postgraduate trainees in leading universities of North America and Europe and practicing medicine throughout the world. • Integration into the global educational and scientific environment. • Promotion of the definite form of ISM in Kyrgyzstan and abroad. We ask you to be cautious and attentive when dealing with unfamiliar faces and scammers, which may be represented by contractors and firms for the provision of admissions services to ISM. Clarify the names and data of officials and representatives. Copyright ©  International School Of Medicine, LLC. All Rights Reserved.